Once again, a crafty California friend hits me up with a surprise in the mail. 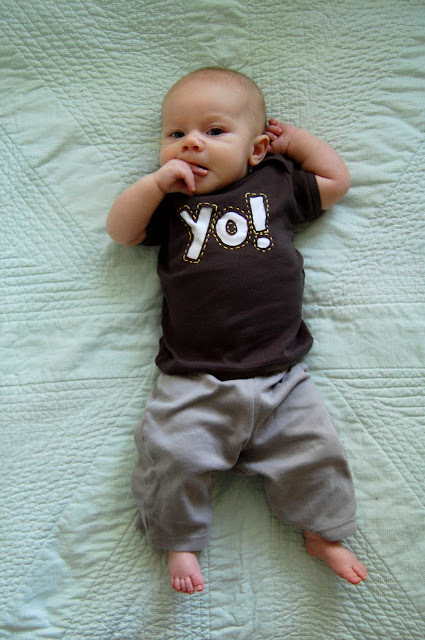 My talented pal Amy Tan sent us this adorable little hand-stitched t-shirt and I'm in love. 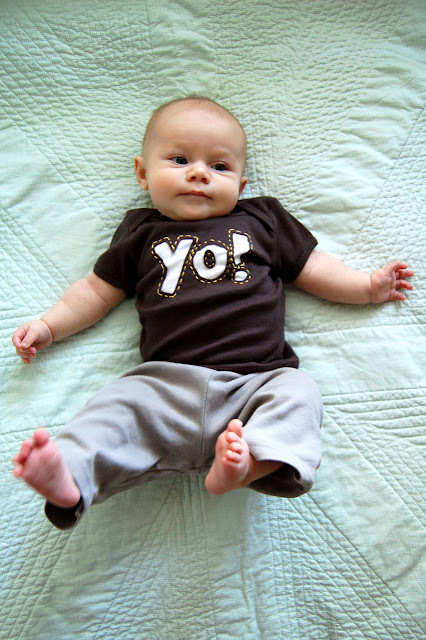 Yo!? Could it be more perfect? But hold on. Just when you can't stand the cuteness ... she also embroidered 'Bowie' on the back. It is too good. Thank you so very much, my friend! 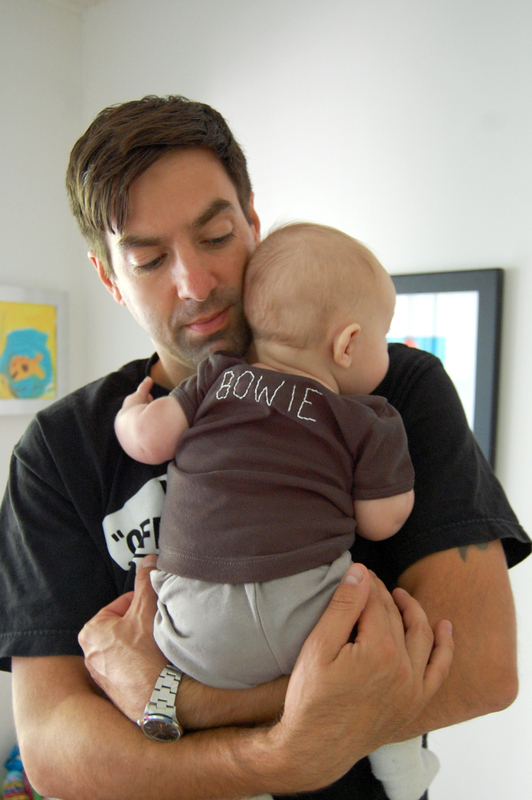 Bowie is definitely the cutest baby with the cutest t-shirt on the block. He is so adorable !! !